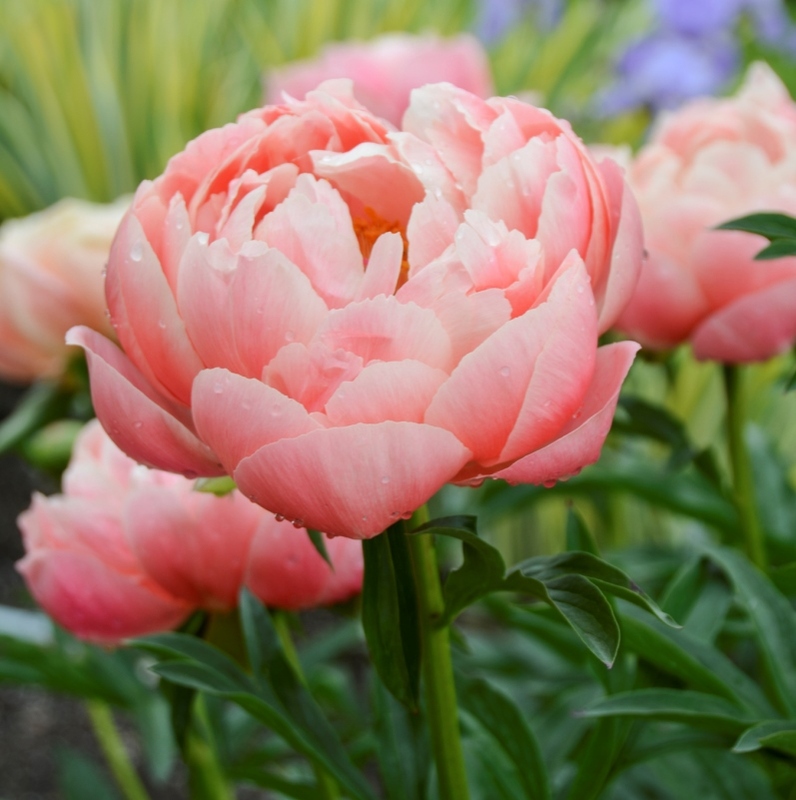 Peony 'Coral Charm' opens a rich coral pink. As the blooms age they change to peach and finally to yellow. The flowers are cup shaped with rows of petals surrounding golden yellow stamens. It is an American Peony Society Gold Medal Winner.